This powerful, heart-wrenching documentary was released in 2017, but I only found out about it while doing some research on something else yesterday. One of the joys of searching the Internet is discovering gems like this by chance. I saw a review of this film by Kelish B Graves while scrolling through numerous pages & actually scrolled past her review, but something told me to scroll back to take a closer look. I felt blessed for doing so as Kelish’s review impacted me powerfully & made me look up/watch this documentary. 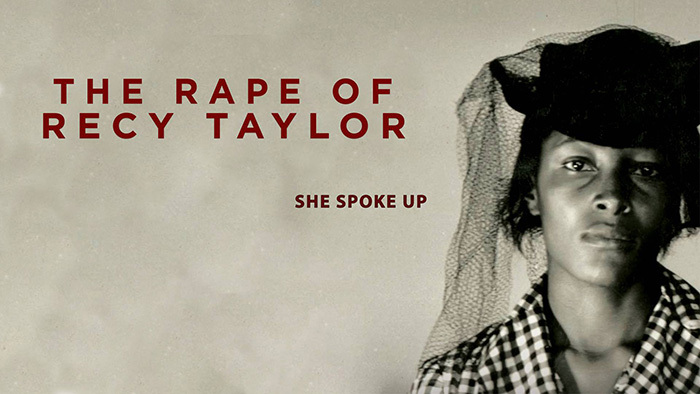 Quite honestly, Recy Taylor’s story broke me down. Her voice, so full of melancholic anguish, brought a slice of what being black in America has always meant: to be under constant threat of injury, diminishment & removal.